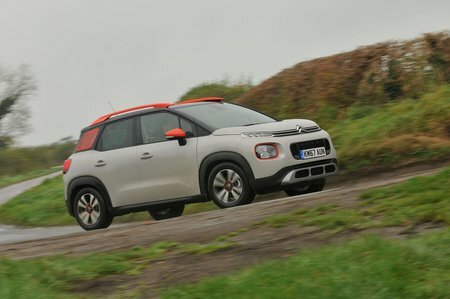 Citroën C3 Aircross Feel Review and Deals 2019 | What Car? Mid-range Feel adds plenty of useful kit and a few luxuries. Externally, you get 16in alloy wheels, aluminium-effect bumper trims, LED daytime running lights and tinted rear windows. Inside, there’s a leather-wrapped steering wheel, an extra 12V socket in the back and, crucially, a 7.0in touchscreen infotainment system with Android Auto and Apple CarPlay smartphone mirroring.